Staqu has launched its Neural Graphic application, Vistoso on Google Play. 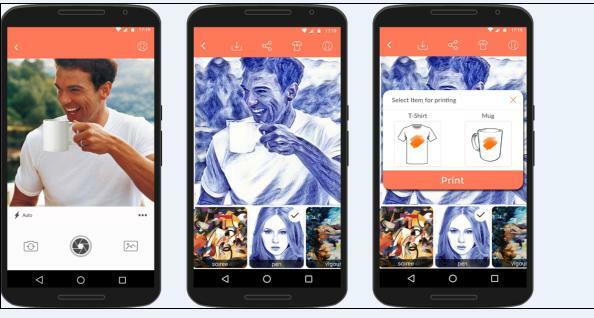 Not only the users may select from over 40 distinguished and artistic filters in the app, they can also have these designs customized in apparels and merchandises of their choosing and have the same delivered from Vista Print. In the next phase of its adoption, Artificial Intelligence is being actively used for creative pursuits. Staqu had previously commissioned a bi-directional image-to-image matching system, hence disrupting visual search for the e-commerce segment. With their debut app, Fashin, Staqu made it possible for users to discover fashion online from YouTube Music Videos, or by uploading a similar picture, whilst also comparing prices and getting the hottest fashion e-commerce deals of the day. With Vistoso as their latest offering, Staqu has developed a quick image editing engine that transforms images and selfies to appear like the work of yesteryear’s famous artists. Staqu launches Vistoso app on Google Play 0 out of 5 based on 0 ratings. 0 user reviews.